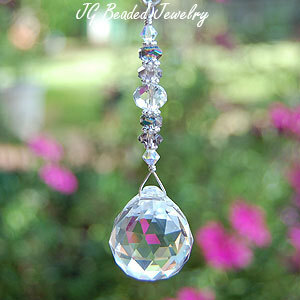 Window, light/fan pull or rearview crystal! 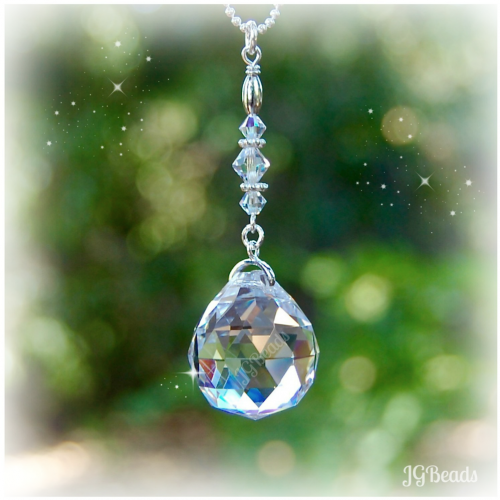 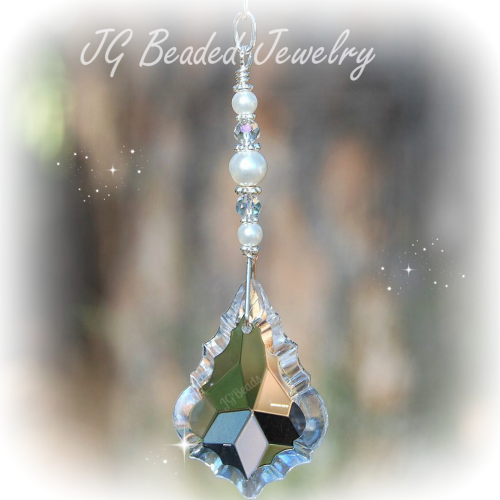 This silver heart crystal suncatcher can be hung in a window or on the rearview mirror! 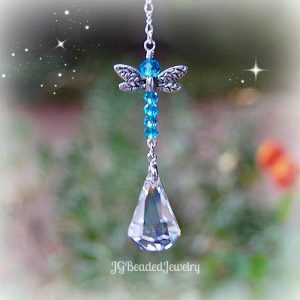 The silver suncatcher is uniquely designed with a gorgeous silver shade 30mm prism crystal and wire wrapped by hand with a silver hematite heart, fancy silver beads, beautiful lavender, silver shade and aurora borealis coated turquoise Swarovski crystals. 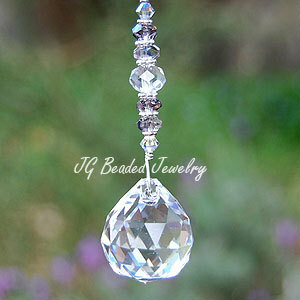 Swarovski is known worldwide for their precision cut flawless crystals.